Dr. Robert D. Sharman, Project Scientist for National Center for Atmospheric Research, has been recognized by Marquis Who’s Who Top Scientists for dedication, achievements, and leadership in meteorology. Named one of the Top 50 Scientists and a Research Leader in Aerospace by Scientific American, Dr. Sharman is a highly regarded meteorologist who brings with him more than thirty years of experience. Since 1993, he has been conducting research and developing forecasting strategies for the National Center for Atmospheric Research. He brings to this role expertise in aircraft scale turbulence in the atmosphere, weather prediction models, propagation models, clear-air turbulence mountain-wave induced turbulence and convectively induced turbulence. 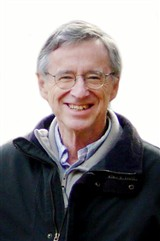 Before coming into this prominent role, Dr. Sharman served as a senior engineer for Logicon Incorporated for 13 years. Dr. Sharman originally planned to work as an engineer for his career; however, after taking several classes in meteorology, he found his passion. He graduated from the University of California, Los Angeles, with a Bachelor of Science in 1969, a Master of Science in 1971 and a PhD in atmosphere science in 1981. In recognition of his professional excellence in his career, he was the recipient of the Aviation Meteorology Award from the National Weather Association and an Aviation & Space Operations Weather Prize. Dr. Sharman has also been honored as a fellow of the American Meteorological Society. As he looks to the future, he intends to continue in his work with the National Center for Atmospheric Research while taking on new opportunities.